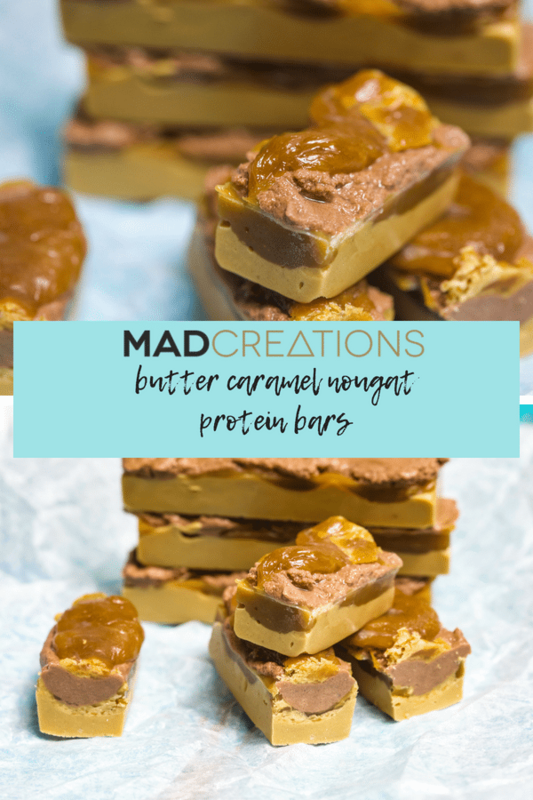 I certainly have you covered with these delicious Butter Caramel Nougat Keto Protein Bars. A recipe that was originally made with leftovers of several recipes I was working on on the same day turned out perhaps better than the 3 other recipes. Once refrigerated and sampled, I was in heaven. 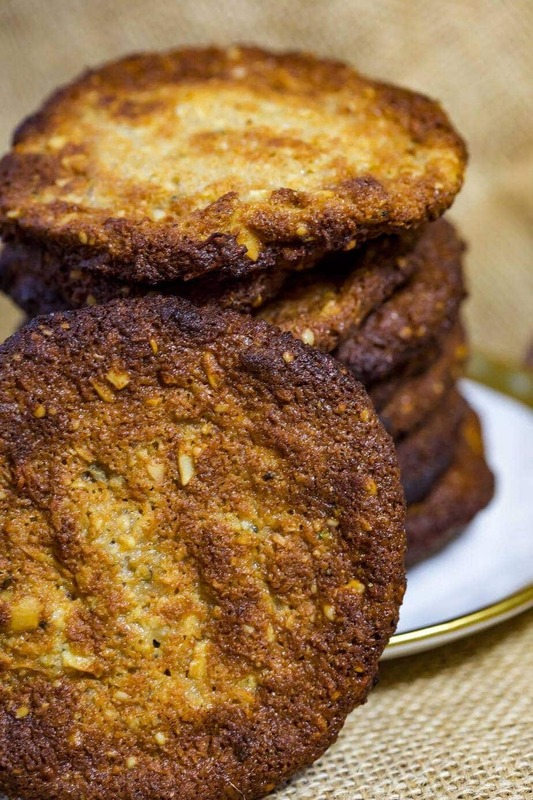 They are very much like a Snickers, and I swear if you added a few nuts and some sugar free milk chocolate and you would have a whole new sensation. These are very easy to make, but you do need some Sukrin Fibre Syrups. Don’t hate me for more recipes using these products, they are just so versatile for making sweets and confectionery with almost an identical consistency and flavour as their sugar-filled equivalents. 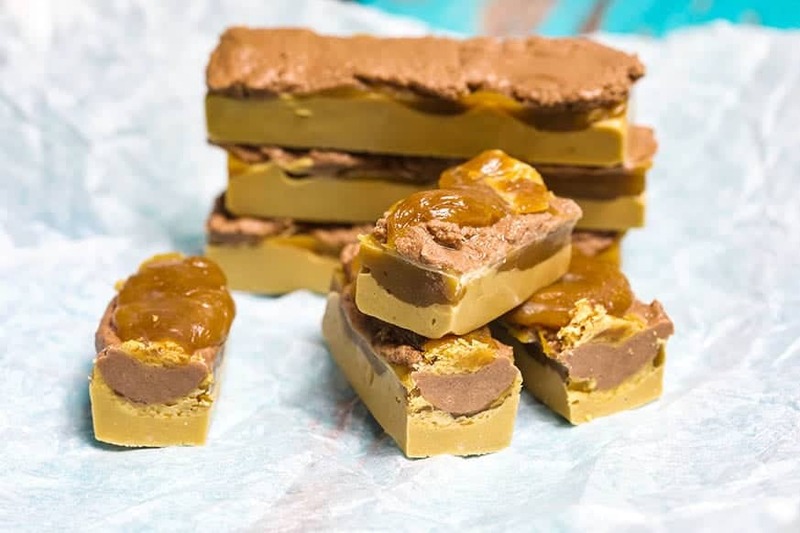 Sukrin Gold fibre syrup is so much like golden syrup in cooking so it can give you those very “caramelly” flavours that golden syrup affords, as well as that “chew” in Anzac Cookies. The clear syrup is a lot like a glucose syrup used in confectionery recipes or nougat. It is so simple to use in these recipes and unfortunately neither the clear or golden syrup have any substitutes I know of. At the moment there is only one supplier of Sukrin, in Australia but they may change in the very near future. All I can say is I have been a little bit smitten with the syrups and how I can easily recreate recipes that were otherwise impossible to make in a compliant keto version. 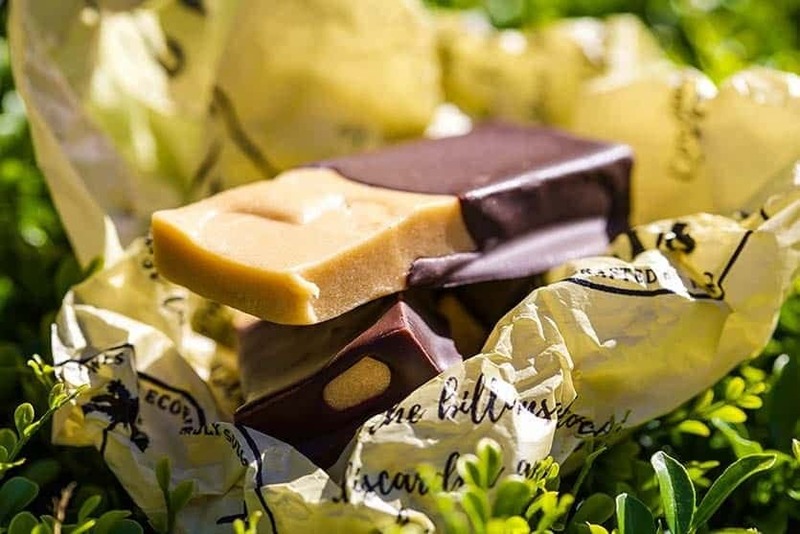 The above picture is just the salted caramel nougat on its own and dipped in chocolate. Super easy! Instead of splitting the mix I have just added double the WPI and Melis to the salted caramel and placed straight into a slice pan and left to set. Cut into desired size dip in a little melted dark chocolate. The use of WPI in many of my recipes allows me to create very low carb sweets that can also benefit from a lighter texture to a slightly crisp outer edge on recipes like the Chocolate Caramel Donuts. If you do not eat any dairy, there are some great substitutes in products like Pea Protein powders (0 carb) and Egg White protein powders. Again these products do need to be sourced either online or at your local health or supplements stores. Unfortunately most supermarkets are still behind in the times and do not stock all our dietary needs (well at least for a little compliant faux food sorcery). Check the notes within the recipe for some substitutions. This recipe is far from rocket science. Add your own flavour combinations to change this up. Delicious with coffee added, or some of the Well Naturally Chocolate Raspberry Crisp. This recipe is totally suitable to freeze and great in the lunchboxes as well. 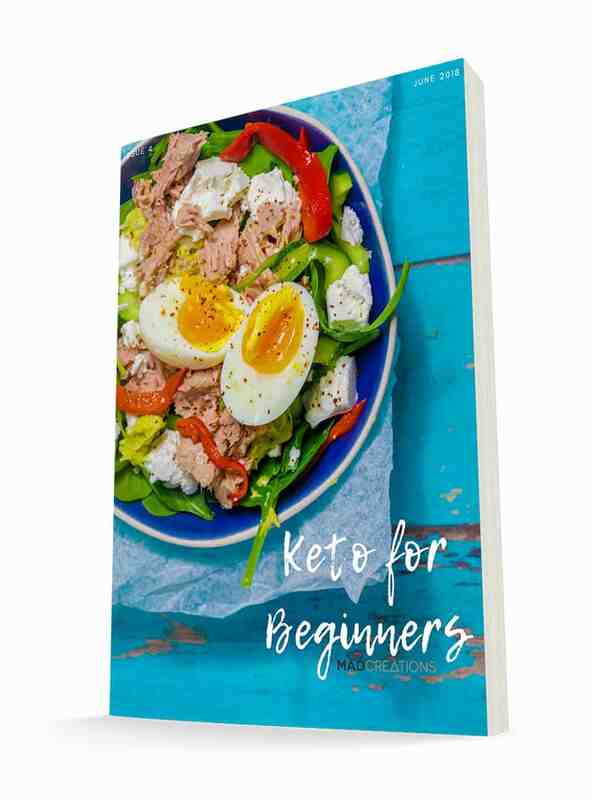 If you are looking for a little support, a meal plan, new recipes with all macros done for you, then grab your own copy of Keto for Beginners NOW! This is a great sample of our Club Keto 365. Many of your questions answered, some great information and guidance, plus no guesswork for you. If you love this recipe let us know below how you went, what flavours you tried and how you shaped yours up. I hope you can hide it from everyone else in the house so it doesn’t get all gobbled up before you can enjoy that little piece from time to time. These are so delicious! A tasty sugar free sweet treat. Add WPI, Sukrin melis, vanilla and salt. Stir until thick add more protein powder if mix is not thick. Press mixture into 6 bar mould, only fill 1/3rd of each mould. You could use half a slice tray or even mini shape moulds if you dont have a bar mould. Even braking into small balls and combining with rest of mixture into a ball shape would work. Heat fibre syrup for 90 seconds. Flavoured whey proteins can be used. *For whey-free recipe, zero carb pea protein can be use. Sukrin Fibre Syrups are interchangeable. Can I give Sukrin Gold a blast in TMX instead of using Sukrin Melis? Thanks for that, it’s just that I have ordered the Sukrin Gold and the Gold Fibre Syrup and they are on their way from WA to Tas and Aus Post take so long to deliver……..! When I made the Choc nougat layer it seemed to have too much whey to syrup ratio as it was very dry & didn’t mix in. I had to add extra syrup & even then it was a bit late and is very grainy. The other layers were perfect. I didn’t have Sukrin fibre syrup but another high fibre syrup. The first two layers were perfect so I’m not sure why the last layer hasn’t worked.